Logan came to visit me for his newborn session, and I was excited to see him again a few months later for his sitter session. Simple Milestone Sitter Sessions are perfect for sitting age babies, that are not yet walking. 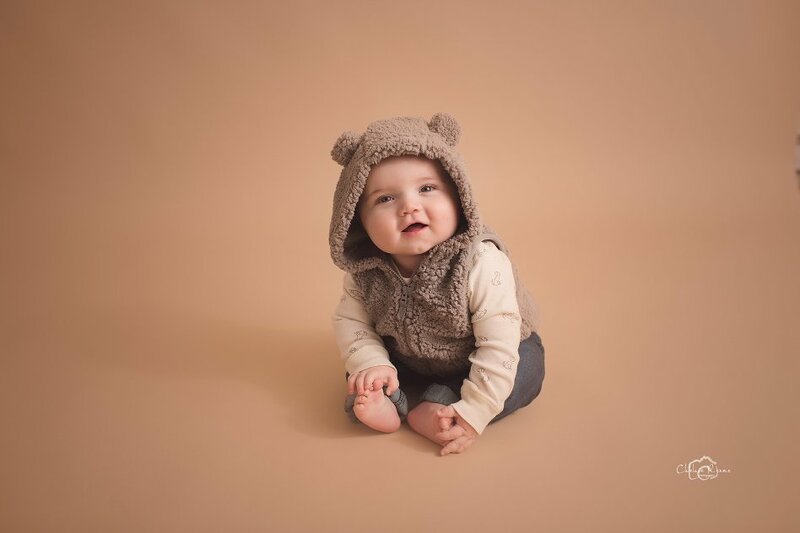 With the Simple Milestone Sitter Session you will receive 2 to 3 set ups, at least 20 editing images that you can download with a copy of a personal print release. An upgrade option is available for all additional images. You can book your Simple Milestone Sitter Session here. These sessions are styled with very neutral backgrounds. Logan did a wonderful job during his sitter session, he was full of adorable smiles. 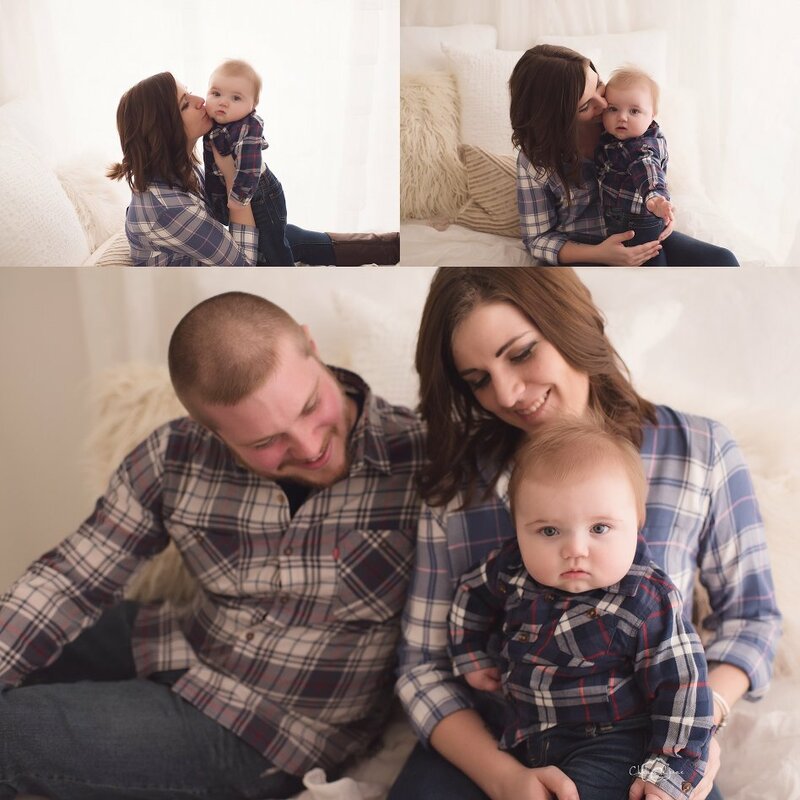 We even took some family shots in the studio of Logan with his mom and dad. If you’re interested in booking a session or have questions feel free to contact me. 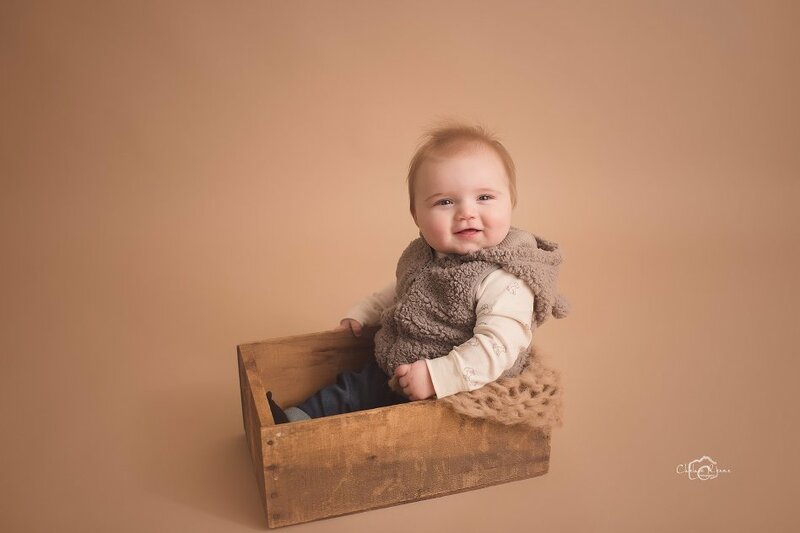 I loved Logan’s cute, and cuddly bear vest, it paired perfectly with this warm neutral backdrop. We fit in some beautiful family shots with Logan’s Mom and Dad at the studio. Logan was wide eyed and happy to be hanging with mom and dad for these special photos they will have to cherish forever.